I love vacationing with the kids in Bar Harbor, Maine. There are so many kid friendly things to do in Bar Harbor, Maine that it makes vacationing a breeze. From hikes to bike trails to fun on the sandbars, every day is filled with something exciting to do which makes for a classic family vacation. The combination of charming New England lobster town and beautiful National Park easily explains why Maine is referred to a Vacationland. I love coming here for the opportunity to get away from it all with my kids. Nothing better than to show them nature in a setting without compare. 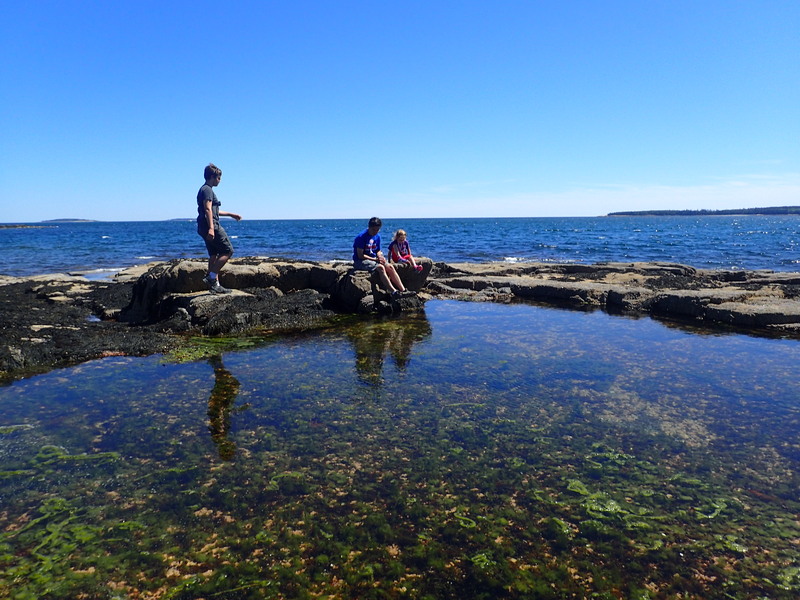 When planning your trip to Bar Harbor with kids, I hope you will keep my top 10 favorite spots below on your list but be prepared to add your own favorites! Many options are available for places to stay. You can choose from charming motels, elegant hotels, guest houses, resorts, campgrounds and bed and breakfasts. We stayed at Sunset, a rental property partially owned by my family to accommodate three families and other relatives comfortably. Disclaimer: I love vacationing in Bar Harbor with kids and chose to write about my favorite spots. I was not paid or given products or services for any of the below mentioned businesses, locations or activities. “Acadia was founded in 1916 by Woodrow Wilson as the first Eastern national park, aided by rich men, often with middle initials, the ‘rusticators,’ as they were known then, the first of our wealthy out-of-state visitors.” Alexander Chee With breathtaking vistas of the North Atlantic Ocean, Mt. 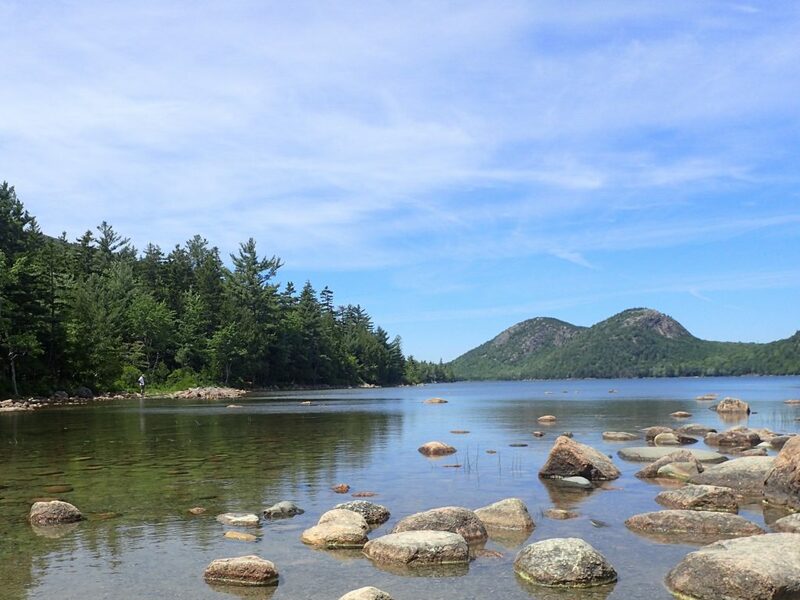 Desert Island and the surrounding islands, Acadia National Park does not disappoint as a summer destination for families. 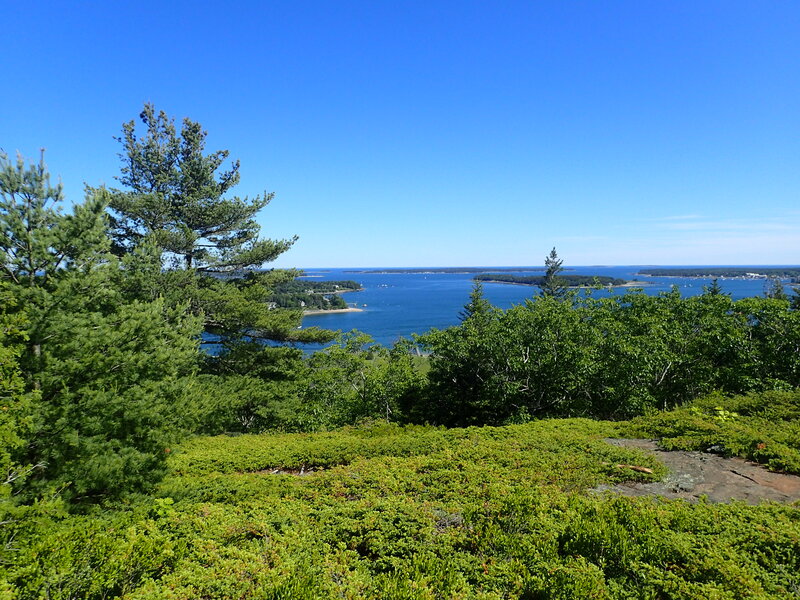 Exploring the First National Park east of the Mississippi and the quaint New England town of Bar Harbor, Maine with your family is an excellent choice for a family vacation. Especially if you focus on activities with your kids in mind. After visiting Bar Harbor with kids multiple times over the last 7 years, I have come up with a list of must do items for families with kids from babies to college age students. The summit of Mt. 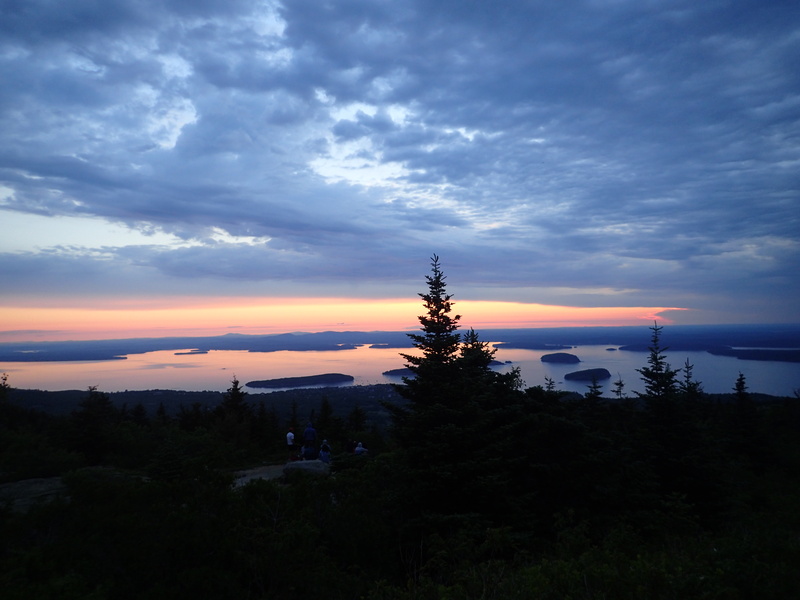 Desert Island is Cadillac Mountain, an easy drive with a parking lot and level easy 0.3 mile trail that is wheelchair and kid friendly giving you dramatic views of the ocean all around. To inspire teens and college students hike up from one of the many trails that lead to the summit or even better, get to the top 45 minutes before sunrise to see the first rays of the sun that touch American soil. An easy half mile or less walk across the sand bar leading to Bar Island. Warning: The sand bar is only above water for 3 hours at low tide. WARNING: look up the current low tide schedule so you do not get stuck on the island for 9 hours. I have seen people take their time getting back to the mainland only to have to pay a hefty fee to the local harbor master to get safely back. Fun to skip rocks explore the summit hike which takes you to a lovely clearing looking across the harbor at the town of Bar Harbor. 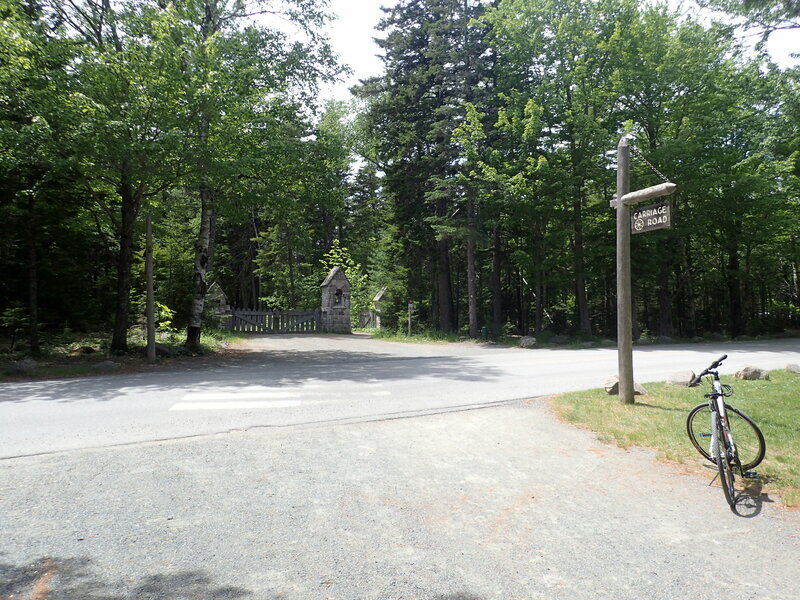 Wonderful as a destination for the best popovers, an outstanding lunch and unique refreshing beverages after a bike ride on the carriage roads or a lovely 3.5 mile, 1-2 hour, level hike around Jordan Pond. The Islander bus, a free bus provided by LL Bean, also stops here. Tip: Make reservations well in advance, start your hike around Jordan pond going clockwise, be patient with with the parking and definitely stop by the Acadia National Park shop next to the restaurant for great souvenirs. Located at the southern point of Mt. 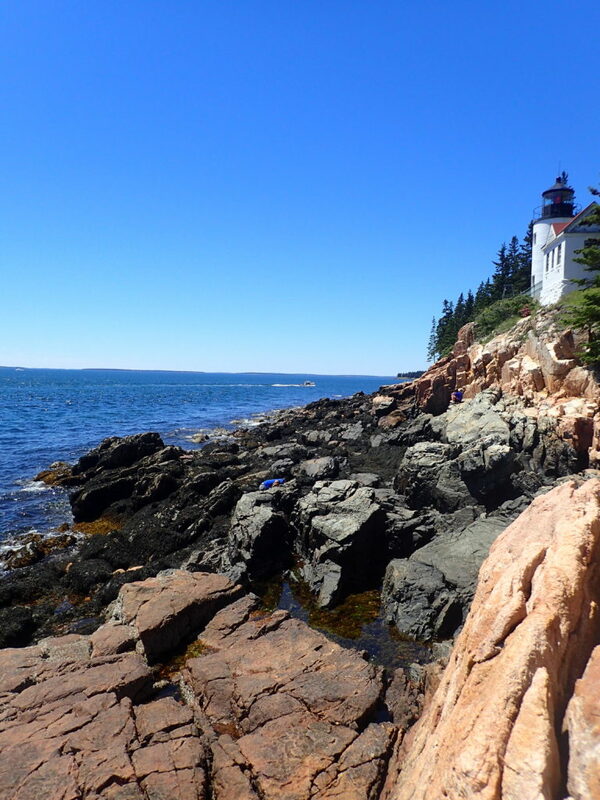 Desert Island, Bass Harbor lighthouse is a great day trip on your way past Southwest Harbor. Tip: Best view of the Bass Harbor Lighthouse is at the end of the trail to the right of the restrooms. A short path leads to a steep set of stairs and fun boulders to climb out onto to see the lighthouse from an inspiring angle. Middle school and elementary school kids will love the challenge of climbing out to the view but be warned that tidal waters and seaweed can make rocks slippery. For awe inspiring quick hike straight up a mountain to a great surprise view, this hike is best for kids 10 and up, but can be fine for athletic daredevils of a younger age. Located throughout the town are various bike rental shops. All that we have used offer bikes purchased new each season, perfectly tuned and ready to ride with custom sizes based on height. Helmets, locks and trail maps are provided making an easy bike ride for the family a reality. The 45 miles of carriage roads were built by Rockefeller to provide a place for him to ride horses and carriages without motor vehicles. Tide pools and ocean views greet you at the end of this simple, short hike. Wonderland offers the opportunity to spot a bald eagle or a seal and plenty of sand and rocks to scramble over for kids. Tip: pack water and a lunch, even with the short hike you will be tempted to stay and listen to the waves. So many places to kayak in Acadia! Tours leave from Cottage Street of the Porcupine Islands or for more adventure the far side of Mt. Desert Island. Most tours are meant for novices, but check age requirements for children. Bring a hat with a strap, clothes and shoes that can get wet, a snack and plenty of water, plus a floating camera. 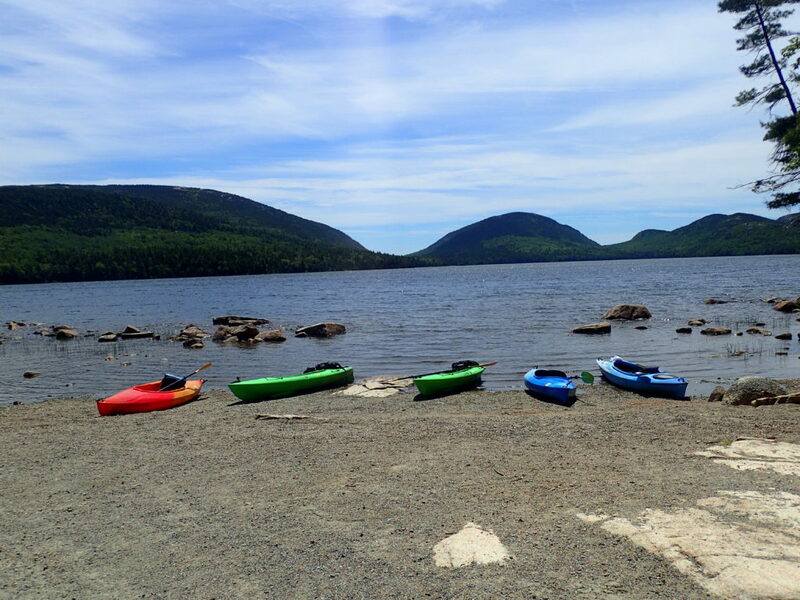 We opted to rent kayaks for the week and being a block from the sandbar were able to roll down the kayaks for self-guided tours around Bar Island or in one of the ponds in Acadia National Park. The waters of the Atlantic are icy and unforgiving but with a good life vest and common sense, paddlers can see the most unique views of Acadia. After buying a week pass to Acadia National Park, drive straight to Sand Beach. Multiple parking lots fill up but also empty quickly. 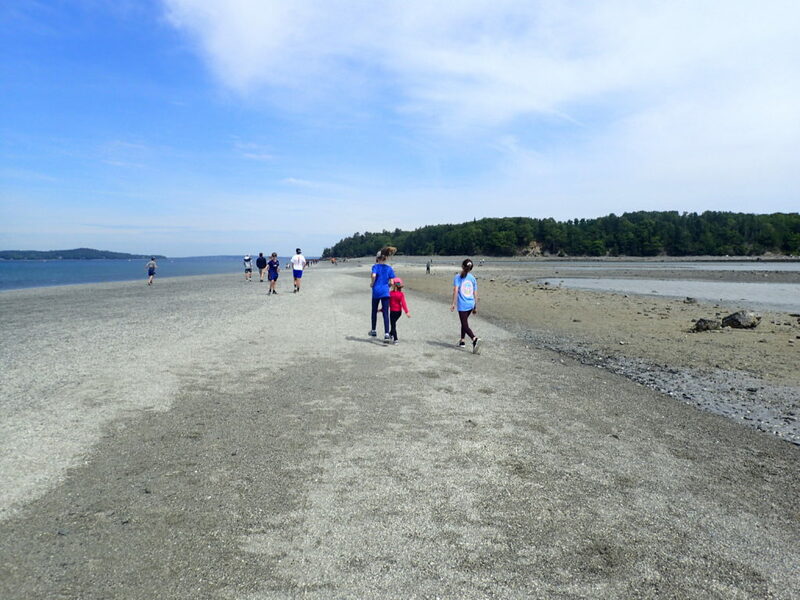 The sand is a delight for toddlers and elementary kids that may need a break from hiking. Bring a beach chair and blanket and lots of sunscreen for a relaxing afternoon. Easy to Moderate hikes over rocks and paths also leave from Sand Beach to Great Head or Thunder Hole. Occasionally, whale watching tours on giant catamarans come close to the beach for a peek. Changing rooms and restrooms are provided near the parking lot. And you can always take the Islander bus to the Sand Beach stop. When in Maine, EAT Lobster! My favorite Lobster Pound is Beal’s Lobster Pier in Southwest Harbor. Amazing food, great beverages, and an Instagram worthy view of lobster boats await with plenty of picnic tables in a low key setting perfect for kids and families. 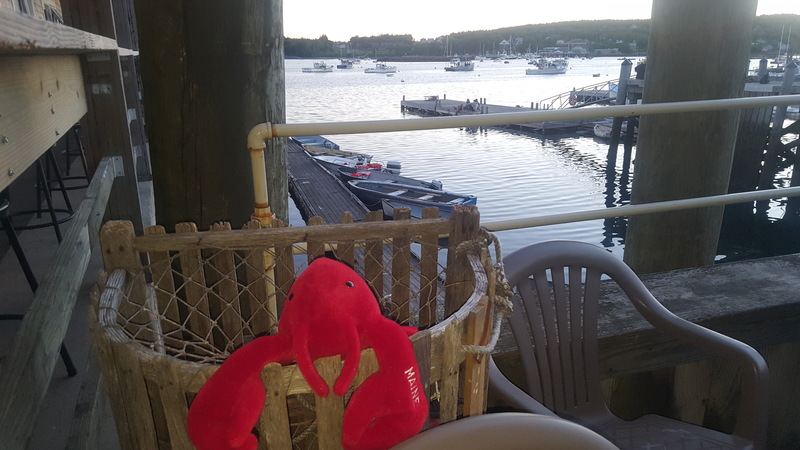 Other terrific ways to eat lobster can be found at most restaurants in Bar Harbor, especially lobster mac n’ cheese and lobster rolls. My advice is try as many as possible during your visit. 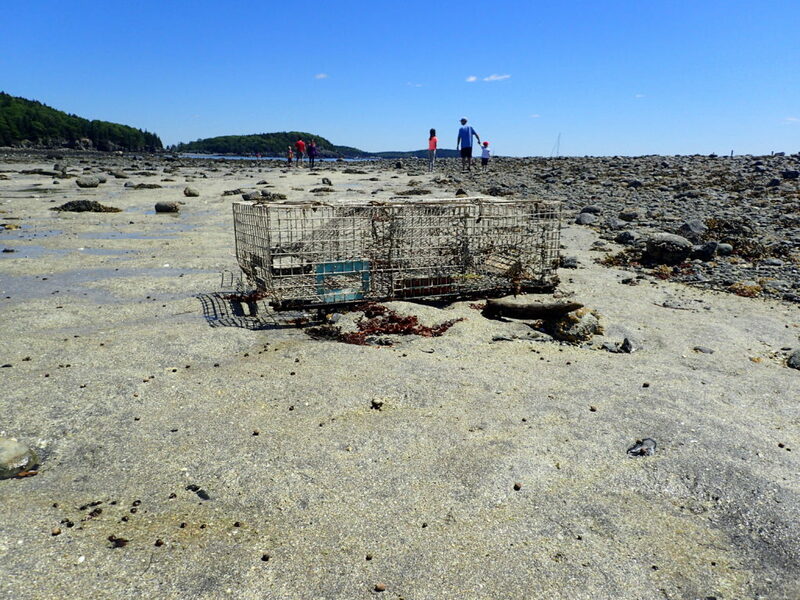 Planning an upcoming vacation to Bar Harbor Maine? 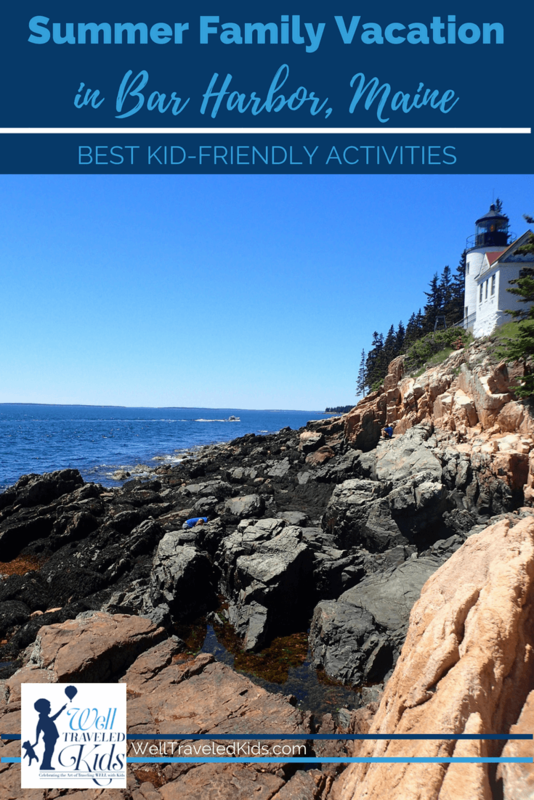 Pin this for later so you remember the Best Kid-friendly Activities in Bar Harbor, Maine! Heather is a Brand Marketer, writer and business consultant living in Chicago with her husband, 2 sons ages 13 &15 and 2 daughters ages 7 & 11. Her travel goals include tiring her kids out by bedtime, making everyday a learning experience, supporting all kids with hearing loss including her youngest child and encouraging her kids to make the world a better place. Heather loves the great outdoors, museums, books, music and exploring new places.